The Kolkata Knight Riders are all set to take on the Chennai Super Kings today at 4.00 PM at the Eden Gardens, Kolkata. The last time they locked horns with each other in the IPL 2018, the teams had won their respective home ties. 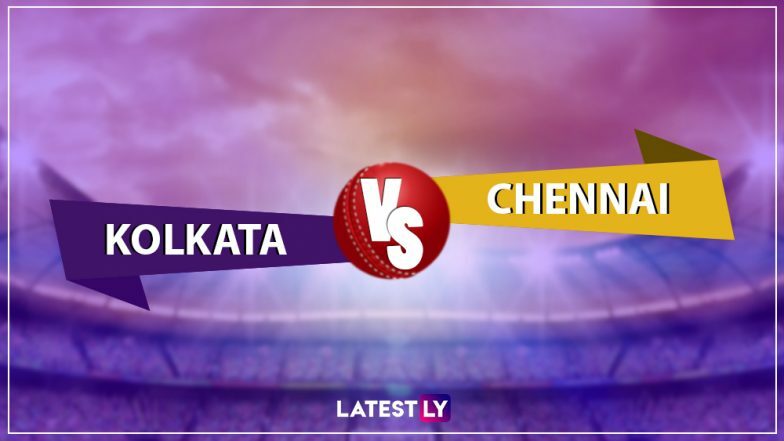 The one in Chennai was won by the home team by five wickets, whereas the one in Kolkata was won by the Dinesh Karthik and team by six wickets. Before we get into the live streaming details, let’s talk about the teams’ overall head-to-head record. KKR vs CSK, IPL 2019 Match 29, Key Players: MS Dhoni to Andre Russell to Shane Watson, These Cricketers Are to Watch Out for at Eden Gardens, Kolkata. The Chennai Super Kings have a better overall head to head record between the two teams. Out of the 19 matches played, KKR has won seven and CSK has walked away with a victory on 12 occasions. Both the teams come into the match by having a contrasting fortune. Kolkata Knight Riders lost against the Delhi Capitals by seven wickets in Kolkata, whereas won against the Rajasthan Royals by seven wickets. Now, let’s have a look at the live streaming details of the match. Kolkata Knight Riders vs Chennai Super Kings Live Cricket Score. The IPL broadcast rights are with Star Sports Network. So KKR vs CSK IPL 2019 match live telecast will be available on Star Sports 1/HD, Star Sports 1 Hindi/HD. Star Sports Select 1/HD will also provide the live telecast of the match. Apart from these, the KKR vs CSKmatch live broadcast will be provided on Star Sports Bangla, Star Sports Kannada, Star Sports Tamil and Star Sports Telugu TV channels. With Star Sports owning the broadcast rights, the live streaming of Kolkata Knight Riders vs Chennai Super Kings, IPL 2019 match will be available on Hotstar mobile app and official website. For live score updates KKR vs CSK match, fans can follow that here on LatestLY.